The recent runaway CP Rail train in the Rocky Mountains near Field, B.C., highlighted ongoing gaps in Canada’s railway safety regime, more than five years after the Lac-Mégantic rail disaster that killed 47 residents of the small Québec town. The British Columbia crash resulted in the deaths of three railway workers and the derailment of 99 grain cars and two locomotives. In the B.C. accident, the train involved had been parked for two hours on a steep slope without the application of hand brakes in addition to air brakes. The practice of relying on air brakes to hold trains parked on slopes was permitted by both the company and by Transport Canada rules. Revised operating rules, adopted after the Lac-Mégantic disaster, had not required the application of hand brakes under these circumstances. The latest accident was one of a rash of high-profile train derailments in Canada since the beginning of 2019. While none compares in magnitude with Lac-Mégantic, they evoke disturbing parallels to that tragedy. Although investigations are ongoing, what we do know raises questions about whether any lessons have in fact been learned from the 2013 disaster. Within days of the B.C. runaway, both CP Rail and Transport Canada mandated the application of hand brakes in addition to air brakes for trains parked on slopes. This after-the-fact measure parallels the action Transport Canada took days after Lac-Mégantic, prohibiting single-person crews, after having granted permission to Montréal Maine and Atlantic Railway to operate its massive oil trains through Eastern Québec with a lone operator. Furthermore, like the Lac-Mégantic tragedy, existing mechanical problems with the locomotives involved reportedly played a role in the CP Rail derailment, raising questions about the adequacy of oversight with regard to equipment maintenance practices. The situation has prompted the Transportation Safety Board to put fatigue management on its watchlist of risky practices, stating that Transport Canada has been aware of the problem for many years but is continuing to drag its feet. The implications of the B.C. accident take on additional significance in light of the dramatic growth seen in oil-by-rail traffic in Canada over the past year. Export volumes reached a record 354,000 barrels per day in December 2018, with the vast majority of the oil going to refineries on the U.S. Gulf Coast and Midwest. This development has not gone unnoticed by people living in communities across North America, who are concerned about the growing danger of another disastrous derailment. 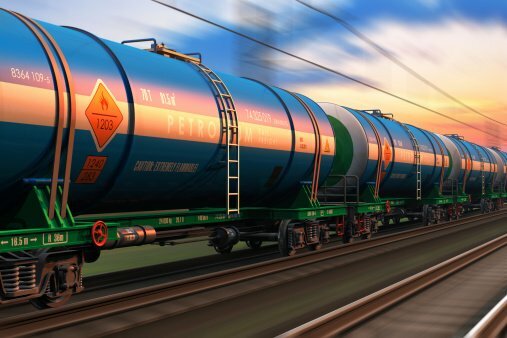 The increase in traffic — now bolstered by the Alberta government’s plan to put another 120,000 barrels per day of crude oil on the rails by next year — is occurring at a time when the Transportation Safety Board reported a significant increase in “uncontrolled train movements” during 2014-17 compared to the average of the five years preceding the disaster. This is despite the board’s Lac-Mégantic investigation report recommendation that Transport Canada implement additional measures to prevent runaway trains. Two weeks after the B.C. crash, a CN train carrying crude oil derailed near St. Lazare, Man. ; 37 tank cars left the tracks, punctured and partially spilled their contents. The cars were a retrofitted version of the TC-117 model tank car, developed after Lac-Mégantic, intended to prevent spills of dangerous goods. The train was travelling at 49 mph, just under the maximum allowable speed. 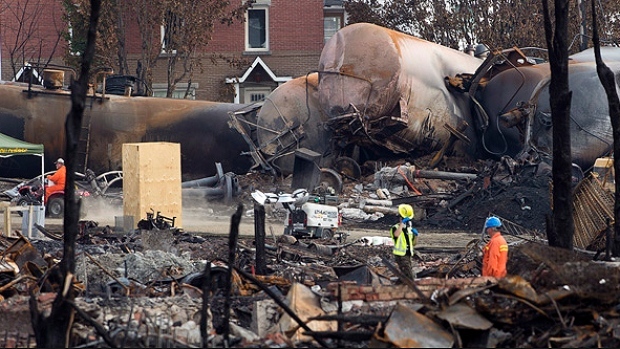 In the lead-up to the Lac-Mégantic disaster, the Harper government squeezed bothTransport Canada’s rail safety and transportation of dangerous goods oversight budgets. These budgets did not increase significantly after the disaster. Justin Trudeau’s government pledged additional resources for rail safety oversight. However, Transport Canada’s plans for the coming years show safety budgets falling back to Harper-era levels. It remains to be seen whether these plans will be reversed in the upcoming federal budget. A Safety Management Systems-based approach remains the centrepiece of Canada’s railway safety system. That system been fraught with problems since it was introduced 17 years ago. It continues to allow rail companies to, in effect, self-regulate, compromising safety when it conflicts with bottom-line priorities. Government officials claim there has been a major increase in the number of Transport Canada rail safety inspectors conducting unannounced, on-site inspections. But the inspectors’ union questions these claims. If an under-resourced regulator, with a long history of deference to the industry, is unable to fulfil its first-and-foremost obligation to ensure the health and safety of its citizens, the lessons of Lac-Mégantic have still not been learned. The B.C. accident highlights that the window for history to repeat itself remains wide open. This article is republished with permission. It was first published on The Conversation website. By Roger Marks, Lion Technology Inc. 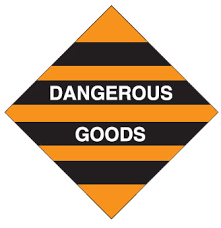 Ask a U.S. dangerous goods (DG) professional to name the most challenging part of his or her job, and you’re likely to hear about dense regulatory standards that overlap and seem to change on a near daily basis. As dangerous goods shippers, freight forwarders, and carriers roll into 2018, new rules for hazmat air and vessel shipments are already in effect. In addition, U.S. DOT’s Pipeline and the U.S. Hazardous Materials Safety Administration (PHMSA) plans to start finalizing new hazmat rules as soon as February 2018. Here, we’ll review the new U.S. DG air and vessel requirements that are mandatory now and review five new or changing U.S. DOT hazmat rules most likely to hit the books as Final Rules this year. For hazmat air shippers, the 59th Edition of the International Air Transport Association’s Dangerous Goods Regulations, or IATA DGR, is in effect as of January 1, 2018. The 59th Edition of the IATA DGR includes stricter requirements for lithium batteries shipped by air, a re-ordered list of Class 9 materials in Subsection 3.9.1, and a new Appendix I that details changes planned for air shippers in 2019. Just before January 1st, IATA published the first Addendum to the 2018 DGR, which includes additional updates for air shippers and airline passengers. IATA uses these addendums to make ongoing revisions to the current DGR before the publication of the next edition. The U.S. DOT, along with other federal agencies, recently released a semiannual agenda of rulemaking activities, many of which will impact hazardous materials professionals in 2018. The five rulemakings below, in progress now, are all scheduled to be published as final rules before Fall 2018. Lithium battery requirements are one area of the hazmat regulations that have changed rapidly in the past decade and will continue to evolve as regulators and industry learn more about the potential and hazards of these batteries. Under regulations found at U.S. 49 CFR 106.95, interested parties may petition US DOT to amend, remove, or add hazmat regulations to enhance safety, streamline the CFR text, or boost efficiency for shippers and carriers. 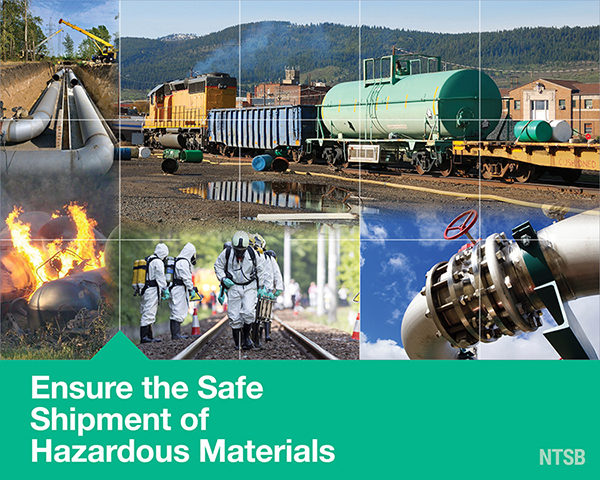 In 2018, PHMSA plans to address 19 such petitions from hazmat stakeholders to provide clarification and/or relief within the hazmat shipping regulations. The U.S. DOT will address various petitions from industry stakeholders pertaining to the manufacture, maintenance, and use of DOT specification cylinders. The rulemaking will also incorporate two existing hazmat special permits into the U.S. 49 CFR Hazardous Materials Regulations (HMR). Technically speaking, this one is a U.S. EPA rulemaking — but it does have consequences for hazmat shippers. The Hazardous Waste Manifest is a shipping paper required for the transport of hazardous waste, and hazardous waste is regulated in transport as a hazardous material by US DOT. On January 3rd, 2018, the U.S. EPA published a final rule to guide the process of setting and collecting fees from users of the electronic Manifest system. Rollout of the long-planned e-Manifest system will begin in earnest on June 30th of this year, when the U.S. EPA plans to implement the system for collecting domestic hazardous waste manifests and domestic shipments of State-only regulated hazardous wastes. As for how it will work, the U.S. EPA has determined that charging user fees to treatment, storage, and disposal facilities (TSDFs) and State-only waste receiving facilities is “the most effective and efficient means” of collecting user fees to fund the administration of the e-Manifest system. This year, the U.S. DOT will promulgate a Final Rule to expand the applicability of oil spill response plans for trains transporting Class 3 flammable liquids in certain volumes and orientations across the train. The U.S. DOT plans to issue this final rule in July 2018. These likely won’t be the only changes for U.S. hazmat shippers in 2018. But, by identifying the future regulations or updates that may impact operations, shippers, brokers, and carriers can avoid confusion and panic when DOT finalizes the new rules. Roger Marks is a researcher and writer at Lion Technology Inc., a provider of 49 CFR, IATA DGR, and IMDG Code dangerous goods training in the US. Now in his 7th year at Lion, Roger creates content to inform and empower EHS professionals, and closely monitors developing regulatory actions that impact hazmat shipping, hazardous waste management, environmental compliance, and OSHA workplace safety. Find nationwide public workshops, 24/7 online training solutions, and live webinars at www.Lion.com. This article is republished and first appeared on OHS Online. As the trial of the 2013 Lac-Megantic rail disaster begins, new policies and practices that aim to employ better technology could help avoid similar disasters in the future. The Transportation Safety Board (TSB) found more than 18 distinct causes and contributing factors in the Lac-Megantic derailment investigation, which makes the likelihood of this type of accident seem nearly impossible. The type of tank cars involved in the Lac-Megantic accident (“Class 111”) were known to be vulnerable to failure, even in low-speed accidents (e.g., Cornwall, Ont. in 1999). After Lac-Megantic, Canada and the United States developed a more robust tank car standard, Class 117. This new standard features improved puncture resistance, structural strength and fractural resistance. As we now know in the Lac-Megantic accident, the train carrying 7.7 million litres of crude oil sped toward the small Quebec town at 104 km/h before derailing, killing 47 people in the resulting fire and explosions on July 6, 2013. Without power from the running locomotive engine, air slowly leaked from the air brake system. An insufficient number of handbrakes were applied and the train eventually began rolling downhill on its final journey toward Lac-Megantic. 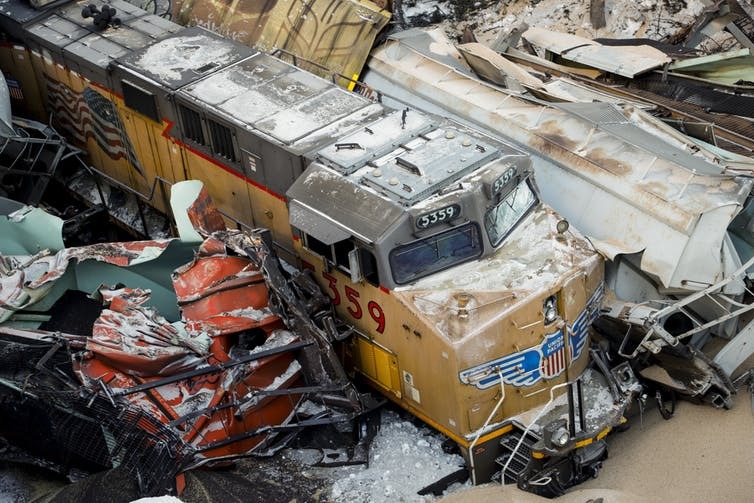 Some of the causes and contributing factors in the Lac-Megantic rail disaster were not technical failures so much as they were failures of humans to properly interact with technology: To properly maintain a locomotive engine, to have knowledge of interactions between locomotive engines and air brake systems and to properly set and test the effectiveness of handbrakes. Although technical standards were less stringent in 2013, technology did not fail us. In many of the causes and contributing factors of Lac-Megantic, it is evident that we failed to understand and interact with our technology. Chris Bachmann is an Assistant professor, Department of Civil and Environmental Engineering, University of Waterloo. His research interests include the interaction between transportation and economics, trade, energy, transportation network resiliency/criticality/robustness/vulnerability, risk, dangerous goods movement, transport economics, transport project and policy evaluation.